• Approx 400gm paraffin wax. • A pair of matching or contrasting candles (approx 25cm x 2.5 cm). • Masking tape (width approx 20mm). 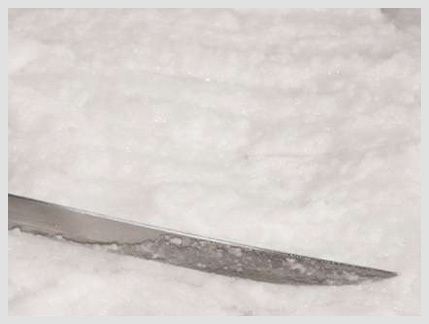 • A hard, smooth, wax-proof working surface – a sheet of glass is ideal. NB – read right through these instructions and the accompanying pictures. Once the wax is whipped and poured out, you will need to work as quickly as possible in order to get the best results. **SAFETY! ALWAYS melt wax using the heat of boiling water. 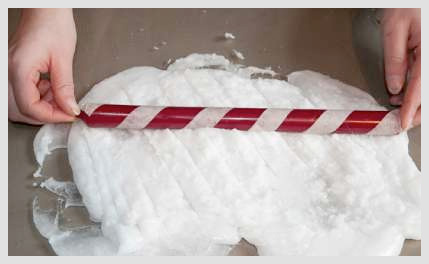 NEVER heat wax directly in a pan over a hotplate or burner. 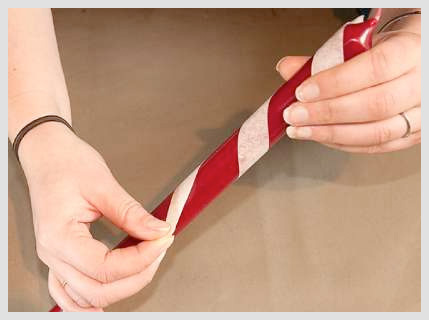 Wind a spiral of masking tape smoothly around each candle – the gap between tape should be same as width of tape. 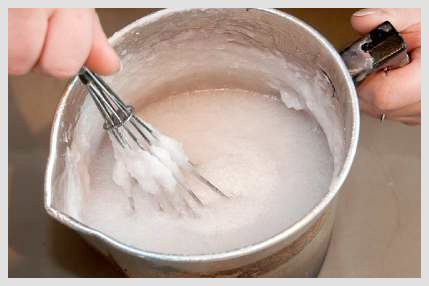 Melt the wax, allow to cool, and whisk into a thick foam as it begins to skin. 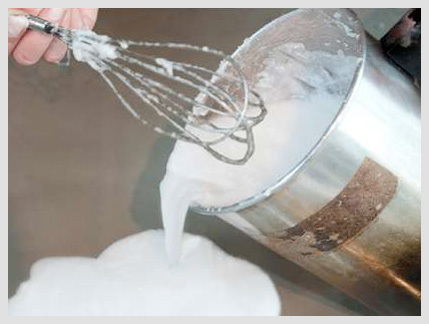 Carefully pour the wax onto the work surface and quickly smooth into an even layer. 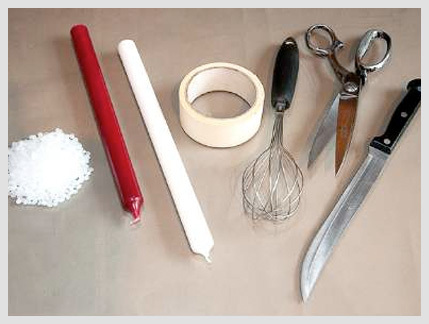 Holding the candles by their ends, roll each candle in the whisked wax to give an even coating. You need to do this before the whipped wax sets – ie: while it is still ‘wet’. 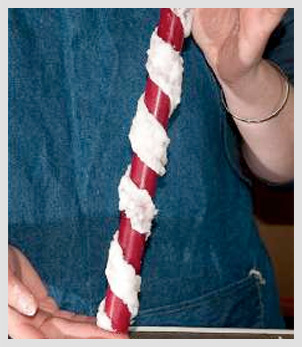 Holding each candle by the wick, carefully unpeel the tape to produce the snowy spiral. 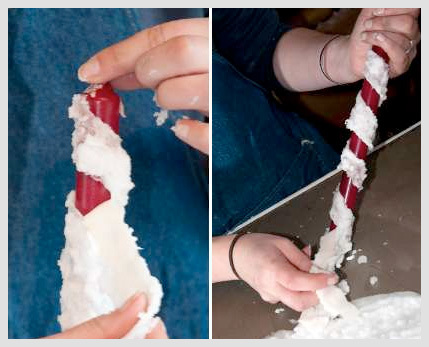 This completes the Snow Spiral Candle Tutorial, we all hope you enjoyed making this stunning candle.